The target of the piece by Tom Reiss, styled as a “letter from Paris,” is the French comedian Dieudonné M’Bala M’Bala. Dieudonné is, without doubt, notorious as a comedian who has consistently ignored boundaries and been careless in his associations. But Reiss seems pretty careless, too. Reiss declares Dieudonné to be a “committed and vocal anti-semite” and guilty of “sheer malevolence.” But the piece is itself pretty demagogic and the evidence presented is tendentious and malevolent. The first question must be: just what does Reiss mean by anti-semitism? Racial anti-semitism? It is doubtful this charge can be made to stick. Anti-zionism? A refusal to excuse Israel’s behaviour by reference to past Jewish victimhood? This seems closer to what appears to concern Reiss. Reiss considers the beginning of the Dieudonné affair the appearance by the comedian in December 2003 on the TV program On ne peut pas plaire à tout le monde which Reiss describes as a popular political chat show “in which celebrities discussed issues in a civil round-table atmosphere” (suggesting to me that Reiss has never watched it, as the show was typically a riotous affair). Even by the standards of this often wild programme, the episode in question was a classic. Dieudonné performed a sketch in which he denounced the American-Zionist axis before raising his arm and proclaiming, “Isra-heil.” This is transgressive. Insulting. But anti-semitic? Dieudonné was in character, for heaven’s sake. You can watch this clip here on YouTube. There is no doubt that Dieudonné loathes Zionism and that he does so on republican principles. He opposes what the French call communautarisme which elevates the rights and claims of minorites above the republican notion of equality. And he loathes the professional witch-hunters who equate any mockery of Zionism or Israel with anti-semitism. Reiss does not consider this, nor the consequences. Instead, he implies that Dieudonné is either personally responsible for or has inspired “a wave of attacks” against Jews and their property. Reiss approvingly quotes Sammy Ghozlan, head of the Bureau national de vigilance contre l’antisemitisme, who says Dieudonné “influenced” the killers of Ilan Halimi, a Jewish mobile phone salesman notoriously murdered in Paris last year. But there is not a shred of evidence adduced to support this. Dieudonné is unknown to have attacked anyone, or to have advocated violence – although he has himself been physically attacked by Jewish militants. Reiss goes on to lengthily quote two more of the least convincing witnesses imaginable: Alan Finkielkraut, a notorious reactionary not averse to hurling racially-tinged insults himself, and the ridiculous Bernard-Henri Lévy, who seems to have entertained Reiss in his lavish apartment on the left bank. Dieudonné unsettles. He is a confrontational comedian. One of his targets – among very many – is the siren of Jewish victimhood being used to suppress criticism of injustice perpetrated by Jews on others. Dieudonné is not an intellectual nor does he claim to be a profound thinker. He’s a brilliant comic who consistently and bravely attacks the powerful and pompous. « Le racisme a été inventé par Abraham. Le “peuple élu”, c’est le début du racisme. Les musulmans aujourd’hui renvoient la réponse du berger à la bergère. Juifs et musulmans pour moi, ça n’existe pas. Donc antisémite n’existe pas, parce que juif n’existe pas. Ce sont deux notions aussi stupides l’une que l’autre. Personne n’est juif ou alors tout le monde. Je ne comprends rien à cette histoire. Pour moi, les juifs, c’est une secte, une escroquerie. C’est une des plus graves parce que c’est la première. Certains musulmans prennent la même voie en ranimant des concepts comme la guerre sainte… ». Maybe this isn’t deeply insightful, but it is rather more sophisticated than the scrap Reiss has fed us, isn’t it? Dieudonné is criticising not just Jewish exceptionalism, but also Muslim exceptionalism. It seems less specifically anti-semitic than anti-clerical (a fine French tradition). Dieudonné disturbs because he refuses to exempt anyone from his contempt. Malevolent? Certainly. So was Lenny Bruce. Angry? A lot of people are angry with Israel, which continues to confound its critics by behaving ever more dreadfully than can be imagined. There are dozens of videos by Dieudonné on YouTube. It’s pretty clear watching half a dozen at random that he has contempt for more or less everything sacred. Branding him an anti-semite, on the evidence presented by Tom Reiss, is not just pretty vacuous. It aligns The New Yorker with the camp of Zionist zealots who are trying to shut down anyone who dares criticise them. « Gordon’s solution for the Afghan crisis: a Common Agricultural Policy for poppy! I thought the fact-checking department at the New Yorker was supposed to be the gold standard. Seems to me that an allegation of murder-by-influence (in the Halimi killing) should require some supporting evidence. Not that the reporting in the magazine piece seems any less desultory — I am automatically suspicious of any article that drags out BHL as The French Intellectual to bolster whatever thesis the writer seeks to advance. Not being familiar with Dieudonne’s comedy, I’m inclined on the aforementioned grounds to give him the benefit of the doubt. You make a good point, Sir. The New Yorker recently reported (under the byline of Sy Hersh) a decision by the ‘recently elected government’ of Gordon Brown to support a US attack on Iran. I can recall no recent elections in Britain. I know that Dieudonné has not been keeping company with the best people lately. Le Pen in particular supported him, so there might well be solid ground to criticise him. But I must also add that Dieudonné achieved celebrity in his career as a comedian for his duo with Elie Seimoun, himself a Jew. One of their most famous and hilarious pieces was a scene with Elie in the role of the Jewish father and Dieudonné in that of the black father of 2 kids having a row over a foot ball. The racist insults and innuendos against Jews and black people fly around and they end up having the same row as their kids. The duo have now separated. Would that explain Dieudonné’s recent attitude? I read the article yesterday and didn’t come away with all that negative an impression of Reiss’ attitude. You can’t write about anti-semitism (whether old-style or new) for any reasonably large American audience without evincing a certain, shall we say, unmistakable lack of approval. The concluding paragraph in particular was a pretty good balancing act. Let’s face it: the piece had to have a certain tone or Dieudonné would never have been written about at all in a major US periodical. Whether “Judaism is a scam … worst because it’s the first” pisses off that many more people than “Racism was invented by Abraham … the ‘Chosen People'” would have done is maybe true or maybe not. What’s important is to educate Americans — both Jews and Jew-Nots — about what the world out there is like and how other people think other thoughts. I think this is significant because not many Americans know what Communitarianism is yet. To learn more about it the curious can visit the Anti-Communitarian League website: http://nord.twu.net/acl/ The guru of Communitarianism is an ex-Irgun (Zionist) commando turned academic named Amatai Etzioni (aka Warner Falk). He’s known in circles of money, power and intellect as “the father of socioeconomics.” Communitarianism is hard to pin down because it’s such a swell sounding and high falutin’ con job. Anti-Communitarians believe Communitarian law is currently being developed and put into practice by the EU and the UN and will eventually come to replace Constitutional law in the US by the year 2021. Indeed. But since Dieudonné did in fact say one, and not the other, it seems curious to report the one that he didn’t say. Incidentally, I’d recommend Alain Badiou’s compelling essay “The Uses of the Word ‘Jew'” to all interested parties. It was worth pointing out that on the back of this text, Badiou was himself accused of anti-semitism. Such is the strangeness of the contemporary moral climate. Here here. I was very dismayed to read this article for the same reasons you give. Most of France, if not all of the world, are anti-Israel to a large extent, and most of them are not motivated by anti-semitism but rather motivated by the policies and practices of the Israeli government. How this is anti-semitism or akin to being a Nazi is frighteningly unclear. Cogent point. Although we can’t be certain he didn’t say the former, even though apparently he did not do so in that interview. But given that The New Yorker seems no longer to be the gold standard of fact-checking, or even especially good at it, who knows. Apropos of resentment of Jewish particularism — which particularism has a disconcerting way of morphing into racism — a well-known American black comedian, one Eddie Murphy, used to do a very funny routine about his childhood on the eastern fringe of New York City. One of his earliest memories was of this guy yelling, “Hey, shwarzie, get off my lawn!” Of course Murphy ended up in Hollywood so apparently he made his peace at some level. But at another time and in another place, might he not have become Dieudonné? We all know that these days it’s the Middle East and the wretchedness of Israeli policy post-1967 and the added ghastliness of the Diaspora’s and America’s reflexive and too often enthusiastic acquiescence in that policy. All of which reinforces the perception that the Elders are up to it again. Treat that cancer and much might improve. Or not. One lives in hope. And let’s keep in mind that the idea that anti-semitism is a Christian or Islamic invention misses a fundamental point. The worst pogrom of the ancient world occurred in Alexandria in 39CE and had nothing to do with Christians or Muslims. The former barely existed and the latter certainly didn’t. A lot of ordinary people (to some degree encouraged, to be sure, by Roman authorities) simply found Jews irritating. Fact-check and correction. Pogrom in 38 not 39. In 39 the Alexandrian Jewish community sent a delegation to Rome to meet with Caligula. Calling Mel Brooks. Bravo ! You couldnt have said this in a better way ! 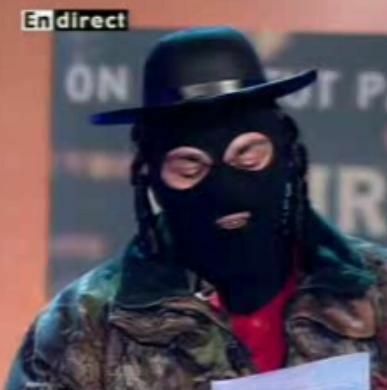 A French court on Tuesday fined a right-wing comedian 10,000 euros for “public anti-Semitic insults” after he invited Robert Faurisson, an academic and Holocaust denier, on stage during a comedy show to receive an “award” from an actor dressed as a Jewish deportee. The Paris court told Dieudonne M’bala M’bala, a 43-year-old French stand-up comic, to pay a further 10,000 in damages and legal fees to organizations that sued him, French news agency AFP reported. Dieudonne told the court that the show had been intended as a “comedy bomb attack” but defended his right to free expression. Anti-racism and Jewish groups welcomed the verdict, AFP reported. Dieudonne has courted controversy in the past. Earlier this year he tried entering politics by running for the European parliament as head of an anti-Zionist party. I don’t deny he’s anti-Zionist. But is he anti-semitic, as charged? I do not automatically kow-tow to legal declamations in France or anywhere else. Since writing this piece, however, I am more convinced than ever that those who criticise Zionism or even question it are frequently accused of anti-semitism, indeed this is almost a default position for advocates of Israel. It is they who conflate Jewishness with Zionism. Dieudonné’s criticism and that of so many others of the behaviour of Zionists and the neglect of Palestinian rights ought to be seriously engaged. instead, anyone who dares criticise Zionism is quickly called a racist. If Dieudonné is getting up the noses of those who hurl these accusations, I have to applaud him for it. i don’t think you looked carefully at this article and what did. Sure, he has the freedom of expression but to raead taht he invites a holocaust denier on stage dressed as a Jewsh deportee is clearly Anti Semistism and in my opinion hate speech. As for questioning Zionism? i have seen many critics of Zionism. Questioning Ziomism is equal to questioning the legitimacy of a soveriegn country an I cannot think of any where else that is done with such frequency. Zionism is no different than any other nationalist movement tat emerged in the mid 1800’s and suceeded in its mission. RE Neglecting Palestinian rights. I think you ought to take a closer look at this. I am a former supporter of Peace Now and used to have sympathy for the Palestinian plight. Then they started engaging in the most vile of stratagies to replace the state of Israel, suicide bombing. At this juncture safety of the Isrlaei general population trumped Palestinain rights. The moment a reasonable peace partner steps forth from the Palestinian side, I would support the renewal of the peace process. I am sorry if yo cannot see how Hamas, Fatah, neighbring Arab countries and Iran have exploited the Palestinain people for their own selfish interests. This is been the MO of the thses leaders for decades. I won’t censor you but there’s not much point in debating this. we seem to be a long way apart and I doubt we’re going change one another’s minds. we’ll just have to leave it here.